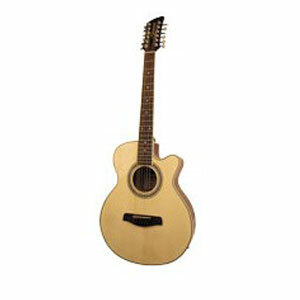 With its slim, cutaway design, the BTK50 12offers the player a very rewarding playing experience. Equipped with Shadow LC4 Pickup and Preamp systems, each of these guitars can be amplified easily and effectively. Each model features a Spruce Top, Mahogany Back and Sides, Rosewood fingerboard, Enclosed Die-Cast Machineheads and a Gloss Lacquer.